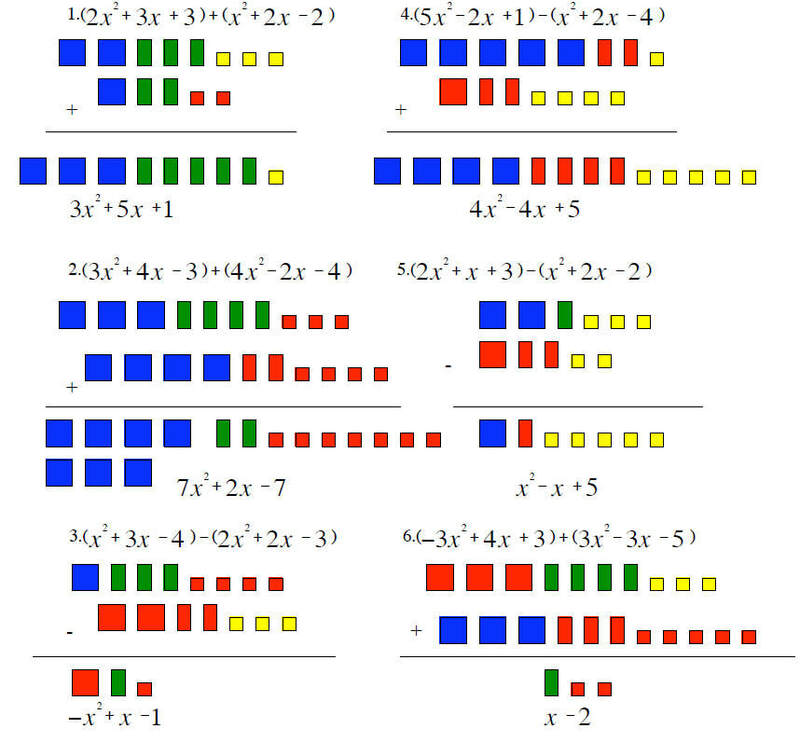 Remember: the reason why we can remove the brackets is because there is a 1 multiplying each of the polynomials... and anything multiplied by 1 is simply itself!!!! 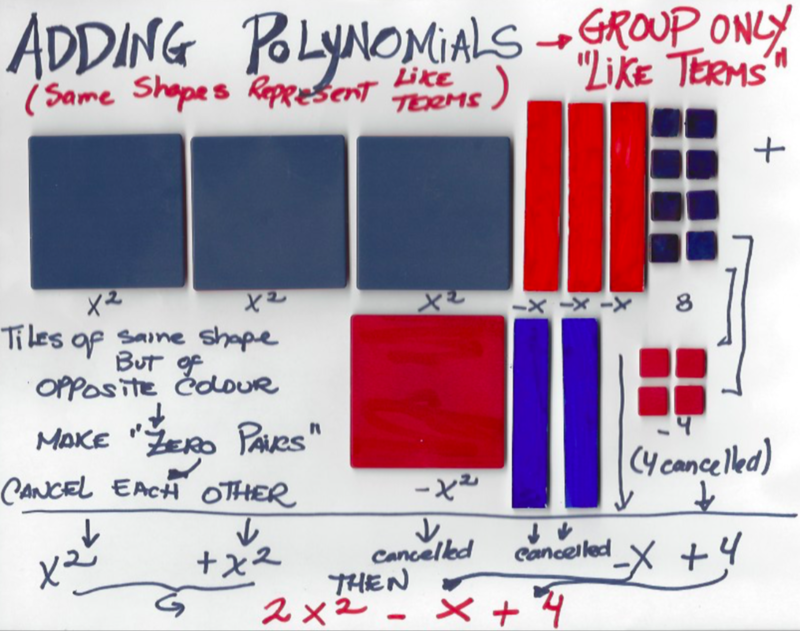 Look at this example of addition of polynomials. This is the "horizontal" method. Notice how the brackets are eliminated,, followed by the pairing of like terms.